N118 - Blood for the Blood God! N135 - Skulls for the Skull Throne! Q: If I play Momentary Madness, does the enemy fighter I choose become a friendly fighter for the duration of the ploy? Q: If I use Momentary Madness and the fighter I choose has the Trophy Hunter upgrade, do I earn the extra glory point if that fighter takes another model out of action? Q: If a fighter is affected by Insensate, can anything increase the damage they suffer beyond 1 damage in that activation (e.g. if Shattering Terrain is also in effect or if I play the Trap ploy)? 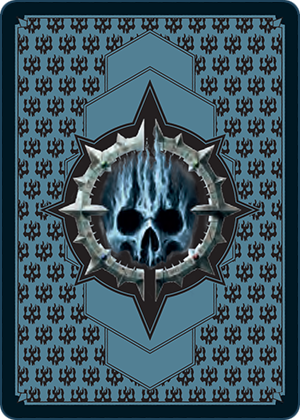 - Skulls for the Skull Throne! 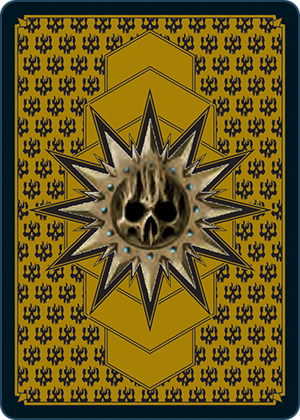 Skulls for the Skull Throne! Q: Do Champion’s Fortitude and Trusted Defender have the same effect? A: Yes. If a fighter has both upgrades, you can re-roll up to two defence dice in their defence rolls (but not the same dice twice). Choose an enemy fighter and roll an attack dice. If you roll a or make an Attack action with them as if they were a friendly fighter. Fighters do not provide support for this Attack action (in attack or defence) - - ? The first friendly fighter who suffers any amount of damage in the next activation only suffers one damage - - ? You can re-roll one defence dice each time you make a defence roll for this fighter - - ?